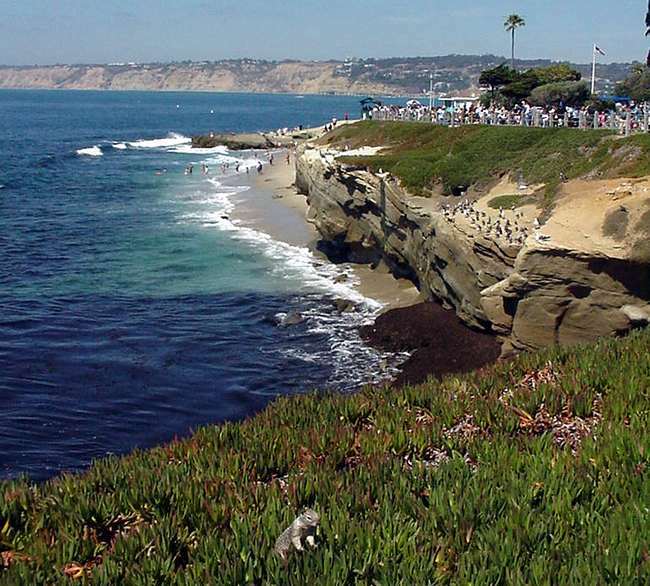 Located only fifteen minutes from downtown San Diego, La Jolla is the perfect destination for a day trip to get away for the weekend or relax after that lengthy business meeting. In Spanish, La Jolla (pronounced “La Hoya”) means “The Jewel” in Spanish, a perfect description of the town’s sophistication and elegance. Clients are able to fly into three of the local airports including San Diego International Airport (IATA: SAN, ICAO: KSAN, Brown Field Municipal Airport (IATA: SDM, ICAO: KSDM, or McClellan-Palomar Airport (IATA: CLD, ICAO: KCRQ). Transportation can be arranged at any of the airports listed above and will be available planeside upon your arrival. Breathtaking beaches, dramatic cliffs, and sandy shores make this the premier destination for sunbathing, swimming, snorkeling, and scuba diving. Home to several beaches each with a distinctive experience. Some beaches consist of flat sandy areas perfect for sunbathing and a lazy day at the beach while the others are lined with jagged cliffs and rougher waters perfect for surfing. At night this dramatic beach scene turns into a romantic sunset. How picturesque, beaches that offer something for everyone. Tee off onto gorgeous fairways. With over eighty golf courses in San Diego Country, every day is a good day to golf here. Pamper yourself at the local day spa and beauty salon. Make a scene at a Broadway show in the Tony-Award winning La Jolla Playhouse. Visit a local art or wine festival or tour the exquisite halls of the art galleries. With numerous activities to choose from, make a day of it all. Ready to schedule your next day trip? Contact us with all your private jet needs at (760) 399-1000 or charter@desertjet.com, where a charter specialist will be happy to assist you and arrange all your travel accommodations. Let Desert Jet take you there. San Diego Lindbergh Field (IATA: SAN, ICAO: KSAN) Located only three miles from downtown San Diego, Lindbergh Field is the busiest single runway airport in the United States. With one of the most beautiful approaches to be seen out of the window of an aircraft, San Diego Bay, the San Diego/Coronado Bay Bridge, the skyline of downtown, Coronado and the Silver Strand, the Gaslamp District, Petco Park (home of the San Diego Padres), Point Loma, NAS North Island, the Aircraft Carrier/Museum USS Midway, and the beautiful Embarcadero are almost close enough to touch as you land. The San Diego Zoo and attractions of Balboa Park are visible on the right side of the aircraft, if you can tear yourself away from the view on the left. San Diego Lindbergh Field is also the airport of choice for large jet arrivals for events at the Qualcomm Stadium. There are noise restrictions and a late night/early morning curfew. Montgomery Field (IATA: MYF, ICAO: KMYF) Located on Kearny Mesa, Montgomery Field is close to the Qualcomm Stadium (home of the San Diego Chargers). Due to its very short runway, the largest aircraft that normally land here are Citations. Close to the communities of Clairemont Mesa, Mira Mesa, Mission Valley, Mission Beach, Pacific Beach, La Jolla, Bird Rock, Mt. Soledad, and Mission Bay, this small public airport has easy access, and little traffic. There are late night and early morning noise restrictions for jets.